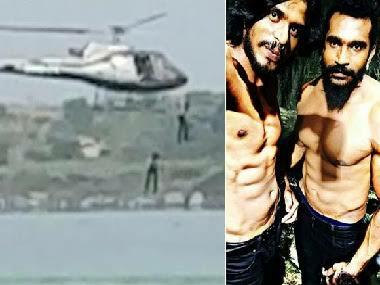 Recently the famous stuntmen of the Indian film industry Anil Verma and Raghav Uday lost their lives by drowning during a stunt. The news has been quite shocking for the Indian film industry and the Bollywood fans. Earlier also they had performed many stunts which were just too dangerous for anyone but still, they always got away with it. This time while performing stunts the thing which happened is really disappointing. Anil Verma was 31 years old and Raghav Uday was 38. A criminal investigation is now being done for their deaths. According to the reports, the stuntmen jumped from the helicopter to shoot for an action scene. But the fact which is coming out is that both of them didn’t know how to swim. They also took a selfie before heading on to shoot this action scene, but who knew this would probably be their last picture together and on the next step, death would be waiting for them. 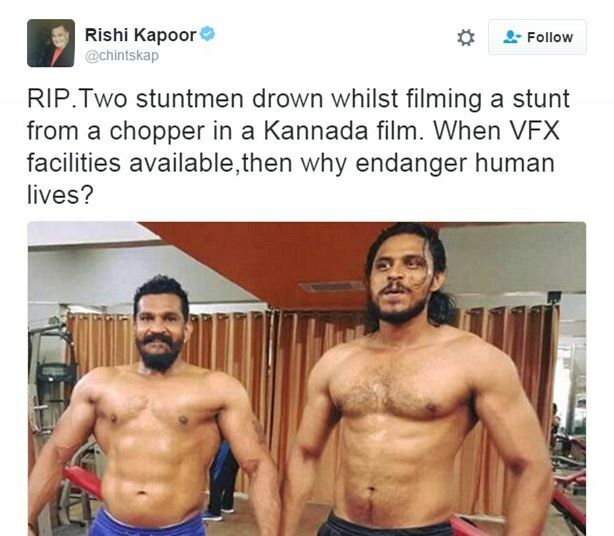 The footage shows how they both jumped from the helicopter and were performing a fight scene in the air before falling into the Thippagondanahali reservoir which is in Karnataka. According to more reports, they were performing the scene for the movie ‘Maastigudi’. 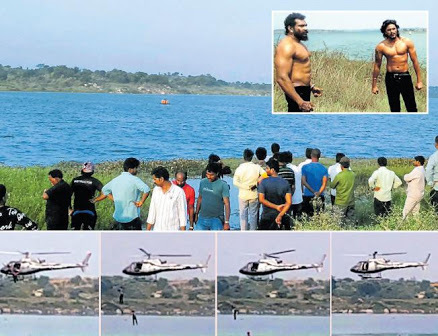 Not only Raghav and Anil but also the Kannada’s successful actor Duniya Vijay jumped into the reservoir from a height of about 30 feet but the actor, however, managed to swim and reach the safe area. 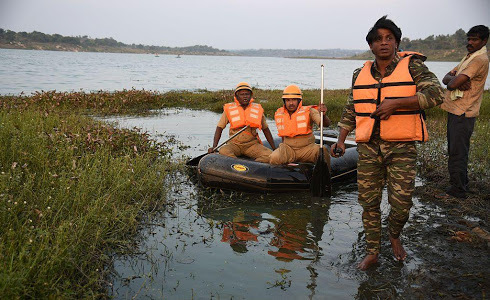 According to an inspector named H.L Nandeesha, the two actors didn’t know how to swim and also they weren’t rescued on time. The scene for which they were shooting, had to be the climax scene of the film. 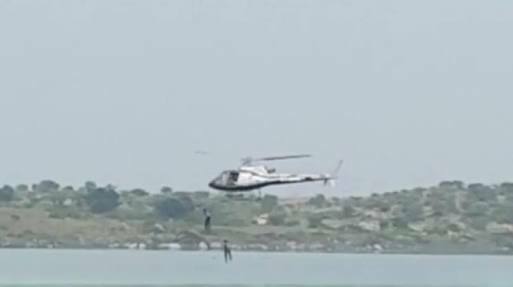 A photo has also come out where you would see Raghav Uday chasing Anil Verma before heading on to the helicopter from where they had jumped. Not only this but the interesting fact is that before the scene Raghav also shared about his fear of height. This statement completely highlights his fear of height but who knew he also didn’t know how to swim. According to reports, there were no safety measures taken while the stunt was being performed. There were no proper rescue teams and no life jacket or something at all. 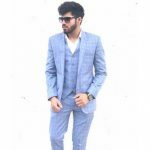 All this happened due to the negligence of the team and also it took around three to four hours to find the bodies of Anil Verma and Raghav Uday. Even the famous Bollywood actors like Rishi Kapoor criticized the producers for being totally irresponsible during the shoot. Truly, they had been really great stuntmen of the film industry and it’s definitely a very big loss to the whole Indian film industry.